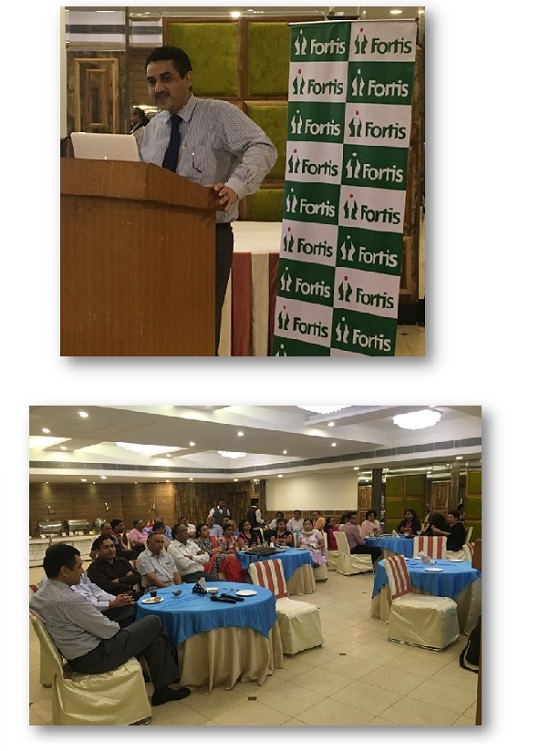 A CME was organized by FHM in association with Surgeons and Gynaceologists Forum, Karnal, in which Dr Atul Sharma Joshi, Additional Director, Breast & Endocrine Surgery, was the speaker. Dr Joshi spoke on ‘Incisional Hernia: my experience’. The CME was attended by 35 doctors.